306 pages | 95 B/W Illus. 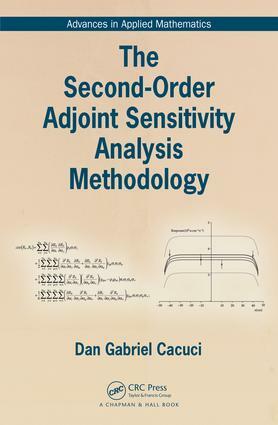 The Second-Order Adjoint Sensitivity Analysis Methodology generalizes the First-Order Theory presented in the author’s previous books published by CRC Press. This breakthrough has many applications in sensitivity and uncertainty analysis, optimization, data assimilation, model calibration, and reducing uncertainties in model predictions. The book has many illustrative examples that will help readers understand the complexity of the subject and will enable them to apply this methodology to problems in their own fields. • Applies to all fields involving numerical modeling, optimization, quantification of sensitivities in direct and inverse problems in the presence of uncertainties. Dan Gabriel Cacuci is a South Carolina SmartState Endowed Chair Professor and the Director of the Center for Nuclear Science and Energy, Department of Mechanical Engineering at the University of South Carolina. He has a Ph.D. in Applied Physics, Mechanical and Nuclear Engineering from Columbia University. He is also the recipient of many awards including four honorary doctorates, the Ernest Orlando Lawrence Memorial award from the U.S. Dept. of Energy and the Arthur Holly Compton, Eugene P. Wigner and the Glenn Seaborg Awards from the American Nuclear Society. Verification of the "ANSYS/FLUENT Adjoint Solver"